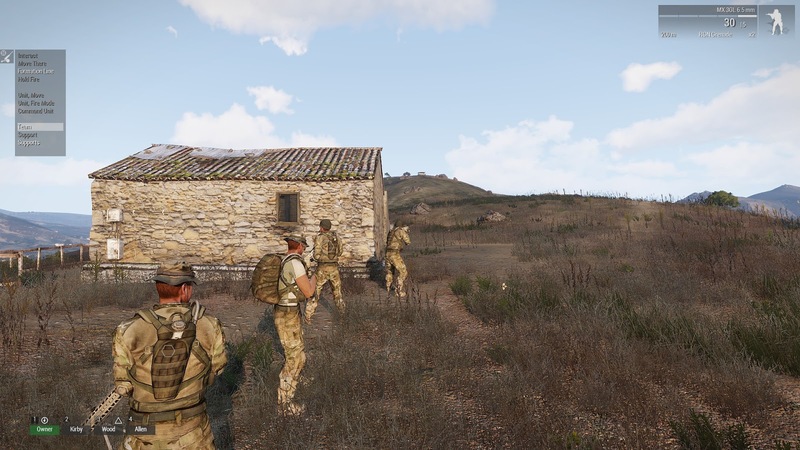 I have been exploring several options to create scenarios about fire support observation planning and how it relates to a given scheme of maneuver. I am still not there, but I had fun with this draft of a mission and I thought about sharing it. 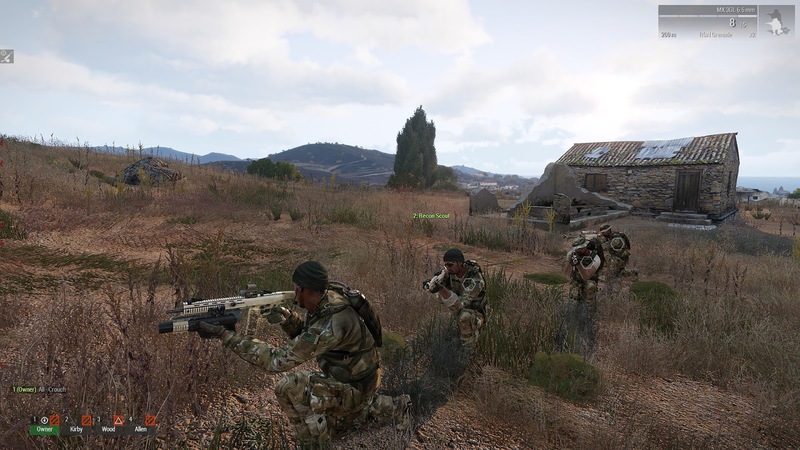 NLT 173423FEB2035 establish observation of EA0045 from OP 024 or 027 in order to refine targets and neutralize EN armor and personnel. OPs may displace once EA0045 is fired or effective EN fires are received. 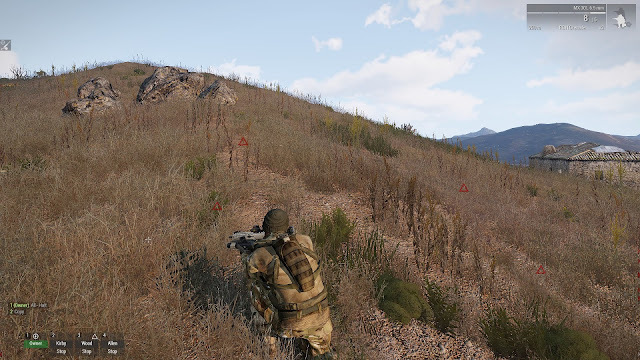 Pardon the graphics, but Arma 3's drawing options are really very basic. 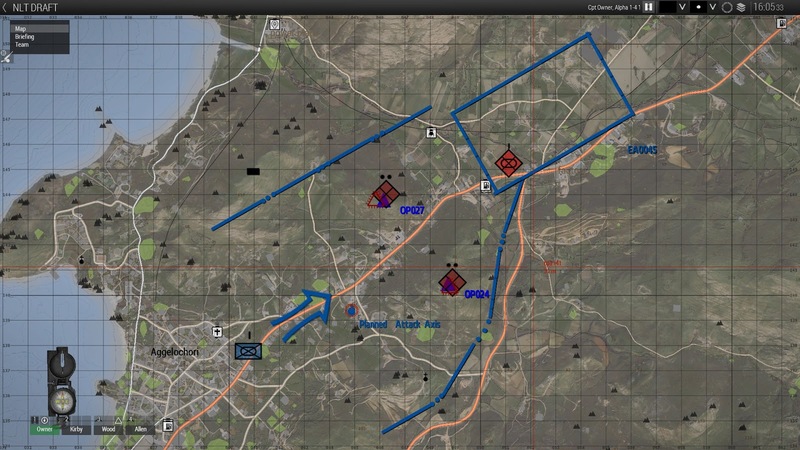 There are two EN bunkers right where the positions of OP 024 and 027 have been chosen. In addition to this, both bunkers have a hasty minefield in front of them. 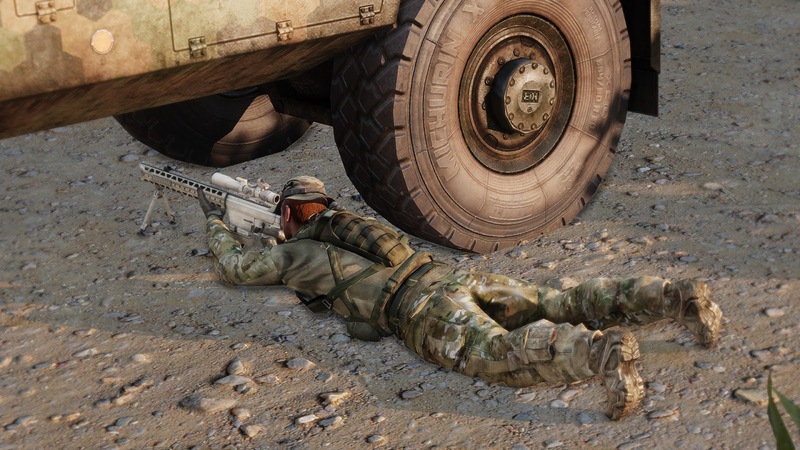 Given the dreadful prospect of navigating through a minefield while under fire, I decided to engage the most exposed EN targets with the team's sniper. Note that I switch back and forth between the different members of my team. This is off course not realistic, but it maximizes the fun factor. A couple of head shots can be seen here and here. The mission execution needs to be fast, so I move my team uphill (team leader FSO, explosives specialist, rifleman and a sniper) to clear the EN position and establish OP 024. 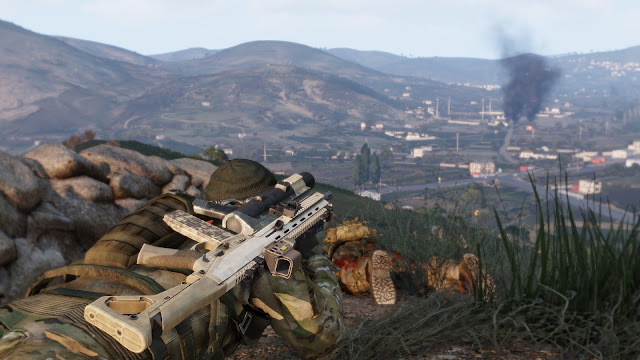 Sooner than later, and just when my explosives specialist starts to spot some mines in front of us, an EN fire team attacks from the top of the hill. We dispatch the EN troops relatively quick and now the hurdle is to navigate through the minefield with the assistance of the explosives specialist. Yikes! How to move my (computer controlled) team through this? The file formation worked very well, but as you have seen in the linked video, I was particularly careful. Clearing the EN remnants was uneventful. Just a couple of infantry engaged and neutralized. And then off course, the indirect fires we were asked for. Followed by some sniper action, which was tricky given the downhill geometry of the shooting (how much I love the Arma 3 ballistics). For some reason, the main attack was delayed in this scenario. I will have that corrected because otherwise the benefits of our fire support are not that evident. Herding cats (LOL!) is right. The AI is tough to control. The Battle of Ponyri during Kursk was based on the German objective that would give them a critical height from which they could observe artillery fire.